Welcome to this week's challenge at Christmas Card Challenges. This week we have everyone's favorite - Anything Goes! So pull out your Christmas stamps, paper and embellishments and make any kind of card you like. I can't wait to see what everyone comes up with this week! 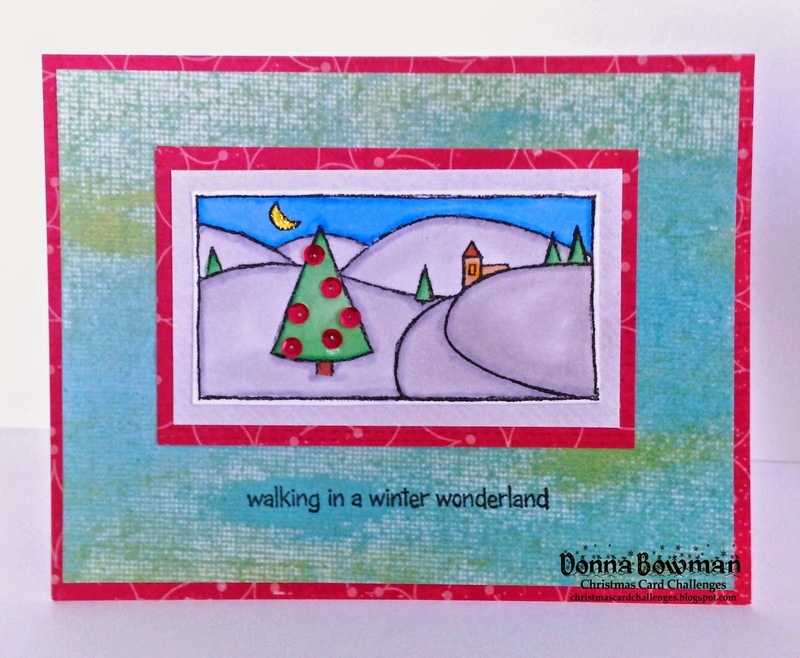 For my card, I wanted to use my new Penny Black Stamp Set called Winter Wonderland. I colored the cute little scene with Copics and added some sequins for ornaments on the tree and some Yello Stickles on the moon. The background paper is some old Dyan Reaveley pre-Dylusions paper that I picked up when I visited her store in North Yorkshire last summer. I was so happy to finally use it. Thanks for stopping by!